“Bulls and Bears” panel on the report that Google is planning to expand its New York City offices. 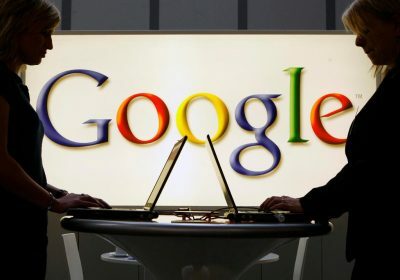 Tech giant Google is reportedly planning a major expansion in New York, which could offer lucky job seekers the chance to land top-paying roles at the company – many of which carry six-figure salaries. The company plans to add more than 12,000 workers in New York within the coming years, according to a report this week from The Wall Street Journal. As one of the top tech companies in the U.S., it’s no surprise the company offers a number of positions with lucrative salaries. Unsurprisingly, a senior vice president at Google gets paid top dollar, with a salary ranging from about $661,000 to $710,000. Duties for the role include oversight of revenue generation and operations, financial analysis and creating new business opportunities, according to Glassdoor. There are currently two open posts on the site for these roles. A director of operations will make sure business units are running smoothly day to day, which means supervising staff. An individual in this position can make anywhere from $304,000 to $330,000. Google pays its engineering directors well: The average salary for an employee in this position is about $300,000. This position requires an employee to not only oversee a team of engineers, but also to lead major company projects. With an average salary between $296,000 and $323,000, a senior director of product management at Google is responsible for helping the team make informed product decisions. A worker in this position will help Google create new opportunities with its business partners, develop market strategies and help the company grow its products and services. This post offers a salary between $286,000 and $314,000. Other top paying jobs include senior director of talent management ($282,000–$305,000), finance director ($274,000), director of product management ($268,000–$338,000), global creative director ($258,000–$280,000) and director of marketing ($245,000).